Rescue a princess, meet a mermaid, win your reward.The authors of the Fellowship of Fantasy tackle fairy tales from once upon a time to happily ever after. Explore twists on old tales and brand new magical stories. 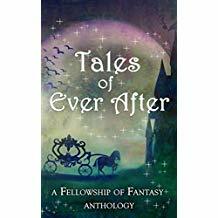 Meet feisty mermaids, friendly lampposts, and heroes who just might be monsters themselves.This fourth anthology from the Fellowship of Fantasy will lead you on a quest for entertainment and storm the castle of your imagination. So make a wish and enter the deep dark woods to find stories that will make you laugh, shiver, and maybe even fall in love.